If you think elementary school students are only learning their ABCs and 123s, think again. Some are also absorbing societal messages that place importance on counting calories and dropping dress sizes. Anna Viviani, a counselor in private practice in Peoria, Ill., who works with eating disorder clients, remembers a conversation she had recently. A school counselor told her that children as young as first and second grade are talking about dieting and body dissatisfaction. Indeed, research has shown that 42 percent of first- through third-grade girls want to be thinner. Studies have also found that 81 percent of 10-year-olds are afraid of being fat, while 50 percent of fourth-grade girls are on a diet. Aside from the extreme weight loss seen in clients with advanced anorexia nervosa, there are many more subtle signs to watch for, according to Viviani, including excuses for missing meals, food rituals, avoidance of specific foods, excessive exercise, dressing in layers (especially when the weather is warm), isolation from peers and family and constant chatter about food and weight. Hofmeier adds other signs to that list: undue concern with body shape or weight, perfectionism, rigidity related to food or body image, ritualistic behaviors and cognitive impairment with low weight. Some people actively seek out a counselor because they’re tired of struggling with eating or body image issues and want help. But for others who are struggling, realization of an eating disorder doesn’t come until much later. “The biggest thing that gets them through my door is anxiety, anxiety, anxiety,” Riczu says, adding that these clients tend to exhibit an inability to identify how they feel in their bodies. “They will say they feel anxious, but if you ask them how do they know they are anxious where do they feel it in their body many struggle to answer.” Many people with eating disorders lack obvious outward signs and can appear to be at a normal weight, Riczu says. They may also go to great lengths to hide their disorder. “I would say the best approach of all is for a therapist to ask questions,” she says. “I bet many clients don’t even know they are struggling with an eating disorder until you ask the questions.” She says this might include asking clients if they find themselves eating to cope with stress, if they count calories, how they feel when their belly is full, whether they’ve ever felt guilty after eating something or if they have a favorite comfort food. “The most important way that a counselor can identify an eating disorder is by being aware of what constitutes an eating disorder and appropriately assessing for eating disorder symptoms with new clients,” Hofmeier says. But, she continues, because the signs and symptoms can vary so widely, it’s important that clinicians not jump to conclusions about the presence or absence of a problem. “The best way that a counselor can identify what is going on is by being present to listen to all of the client’s story and being able to ask the right questions to probe for underlying or disguised eating disorders.” Those questions relate to self-esteem and attitudes toward food, she says. For instance, does a client feel good about herself because her pants fit or because she has a sharp wit and is a good friend? When it comes to food, are lots of rules and rigid thinking involved? The answers to these and similar questions can offer insight into where the client is coming from, she says. Eating disorders often develop as a result of several experiences and factors combining, says Hofmeier, adding that it’s nearly impossible to pinpoint exact causes. 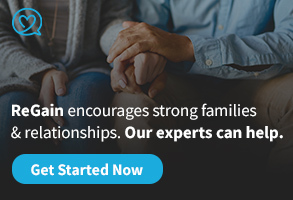 “It is more helpful to think of contributing factors, such as the emphasis that the family placed on weight or appearance, the media that the client was exposed to, the peer relationships the client had, any athletic involvement that placed a high degree of emphasis on body shape, general client tendencies toward perfectionism or traumatic experiences that were not fully resolved or processed in a healthy manner.” Common underlying concerns include low self-esteem or self-worth, limited ability to manage distress or emotions, the desire to achieve and the yearning for perfection, she says. Riczu also sees a higher percentage of clients who have already acknowledged their problem and want help. For those who haven’t yet come to grips with the idea of having an eating disorder, that acknowledgement can be difficult. “I find that getting some concrete evidence can help, meaning getting them to have some blood work done,” she says. The results normally don’t come back as “healthy” for someone with an eating disorder, she adds. DBT, Hofmeier says, is based on the components of mindfulness, emotion regulation, interpersonal effectiveness and distress tolerance. “While DBT was developed for a different client population, it has been shown to be effective with many individuals with eating disorders. 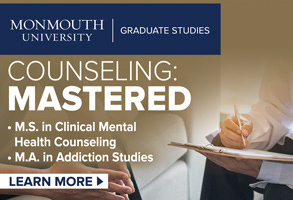 DBT is effective in the way that it facilitates skill building with clients that can ultimately help them move away from eating disordered coping to healthier coping.” IPT, she continues, is geared toward helping clients understand their interpersonal relationships and how their symptoms or difficulties might be linked to interpersonal or relational difficulties. 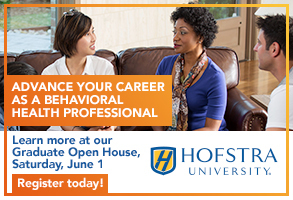 Also important, Hofmeier says, is counselors modeling healthy attitudes toward their clients. “Avoiding ‘fat talk’ with clients not talking negatively about their own bodies while in session or with clients sets an example of acceptance as well as downplaying the importance of physical appearance,” she says. By looking beyond their own offices, counselors can also help fight eating disorders communitywide. “By active engagement in prevention activities, with communities or schools, counselors can make a huge difference for individuals who may be at risk for eating disorder development,” Hofmeier says. Ideas include offering media education workshops at schools and providing information and education to people regularly in contact with susceptible young people, such as pediatricians, coaches and Girl Scout leaders. On the basis of their many years of combined experience in treating eating disorders, Viviani, Hofmeier and Riczu shared a few of their top tips. Following are 12 do’s and don’ts for other counselors working with eating disorders and body image issues. “Do listen without judgment,” Viviani says. “Do recognize that eating disorders can be life threatening and deserve to be taken seriously,” Viviani says. “Don’t use food and weight as the only measures of health and recovery for your client, but don’t ignore their physical health either,” Hofmeier says. “Don’t get discouraged. Relapses may happen, but it doesn’t mean the treatment didn’t work,” Viviani says. Working with local schools, physicians and nutritionists is often the best way for counselors to reach those battling eating disorders and body image issues. “Having an educated medical community that can make appropriate referrals is important, as the physical signs may often be the most noticeable in some cases,” Hofmeier says. 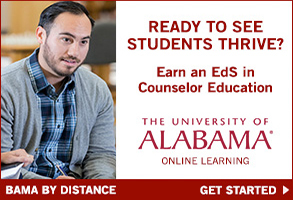 “Also, working with school systems to help instructors and staff appropriately recognize symptoms in students and provide the appropriate support and referrals is a helpful way to ensure that kids and teens are receiving timely and appropriate services.” For those interested in helping this population, education is key, counselors say, including attending conferences sponsored by eating disorder associations, learning about therapy techniques and keeping up with literature on the topic. Viviani points to the International Association of Eating Disorders Professionals, which, she says, offers certification in the treatment of eating disorders after the counselor completes a rigorous training program. The National Eating Disorders Association, the Something Fishy Website on Eating Disorders (something-fishy.org) and the Renfrew Center are other resources that Riczu has found particularly helpful. Lynne Shallcross is a senior writer for Counseling Today. Contact her at lshallcross@counseling.org. Letters to the editor: ct@counseling.org. From a young age, Kristin Meany-Walen was involved in sporting activities that emphasized physical appearance, weight and athleticism. Growing up, the sister of one of her friends suffered from anorexia and later died of complications from the disorder. But it was a remark from a gay friend in his early 20s who suffered from body dissatisfaction that pushed Meany-Walen, a counselor earning her doctorate at the University of North Texas, to delve into the topic of eating disorders further. The friend told her that being thin was part of gay culture. Meany-Walen, a member of the American Counseling Association and the Association for Lesbian, Gay, Bisexual and Transgender Issues in Counseling, began researching gay men’s experiences with body dissatisfaction and disordered eating as her thesis project before graduating with a master’s from the University of Northern Iowa. Using a sample of three participants, she found a complicated combination of experiences and expectations can make gay men particularly susceptible to developing an eating disorder. When they begin to pursue other men, she explains, gay men are aware that other men are looking for an attractive partner. “Because of their keen understanding of the pressures men have of finding an attractive partner, these men believe it’s all the more important to be attractive in order to be sought after by another man,” she says. She adds that her research participants also described a power structure in which the more someone is sought after, the more power he possesses. Through her research, Meany-Walen says she also learned a significant amount about being an effective counselor. “This was just another way to confirm for me that my job as a counselor is to respect my clients’ experiences and try to understand them through their lens,” she says. “As a Caucasian straight woman who identifies as a feminist, I initially wanted all people to value themselves as human beings of value and capable of being loved. Although I believe this to be true of all people, I also value others’ understanding of what they need to do, think or feel in order to feel connected to others. Regine Talleyrand, associate professor and coordinator of the counseling and development program at George Mason University, has been researching the topic of eating disorders among African American women for more than a decade. A major obstacle in helping this population, she says, is that people with eating disorders are stereotypically thought to be White, adolescent or young adult, middle- or upper-class females who are obsessed with the desire to be thin or perfect and develop anorexia or bulimia in the process. Talleyrand points to research showing obesity rates to be higher among African American women than all other racial and ethnic groups. She adds that while dieting and restrained eating appear to be more common among White women, binge eating and purging appear to occur as frequently among women of color. Although the prevalence of anorexia among African American women is fairly low, research shows the age of onset is earlier than with the general population. According to research done last year at the University of Southern California, African American girls are 50 percent more likely than White girls to be bulimic. 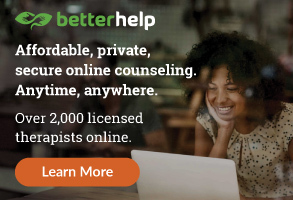 Counselors working with African American female clients should use assessments with culturally sensitive measures, be familiar with stereotypes related to African American women and people with eating disorders and incorporate cultural considerations in treatment, prevention and training activities, Talleyrand emphasizes.